Three suspected Jaish-e-Mohammad terrorists involved in the attack were killed in the retaliatory action by the Army inside the camp and a large quantity of arms and ammunition was seized from them. Several blasts were heard inside the Sunjwan camp late last evening. 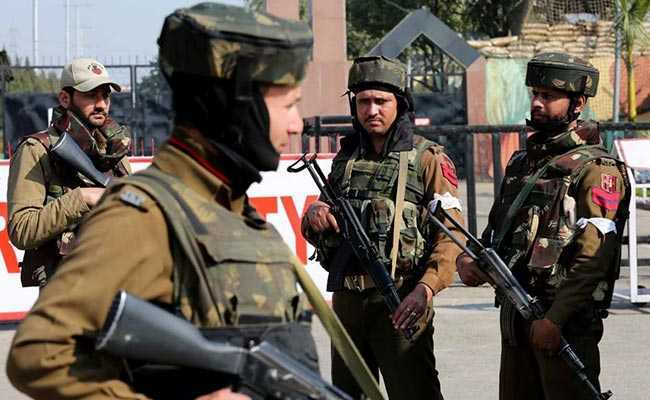 Jammu: The Army said today that the search operation was underway in its Sunjwan camp, which was attacked by a group of suspected JeM terrorists, killing six persons, including five soldiers. "The search operation is still on (at the camp)," Jammu- based Army public relations officer Lt Col Devender Anand told PTI. A group of heavily armed men struck the sprawling camp of the 36 brigade of the Jammu and Kashmir Light Infantry before dawn on February 10. Five Army men, including two Junior Commissioned Officers (JCOs), were killed in the attack. Several blasts were heard inside the camp late last evening, breaking a lull after the initial exchange of fire, but the Army said the blasts were the result of sanitisation operation and there was no fresh contact with terrorists. Parliamentary Affairs minister Abdul Rehman Veeri told the Legislative Assembly that the operation was in the final stages. He said that the injured Army personnel included a Lieutenant Colonel and a Major. The latest attack on the Army camp took place nearly 15 months after the Jammu region was hit by a similar attack. The last terror attack in the Jammu region had taken place on November 29, 2016, when terrorists stormed the Army's Nagrota camp on the outskirts of Jammu city, killing seven Army personnel including two officers. Three terrorists were gunned down in the operation.